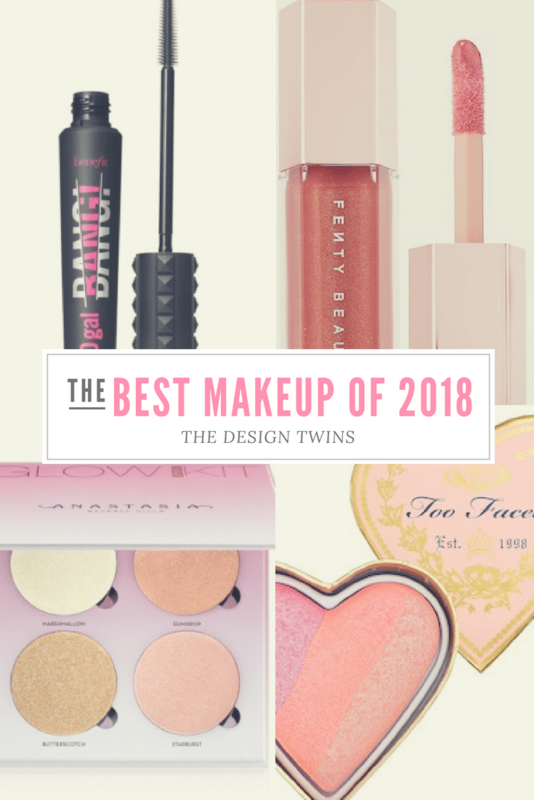 17 Best Makeup Products to Love Year Round! It’s an understatement to say that Jodie and I are obsessed with makeup! We have been since high school! Since we are naturally creative souls for us makeup is just another way we express our creativity. We like to think of our faces as canvases for beautiful art. 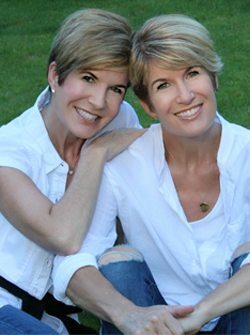 We want to share with you some of our go-to makeup essentials that we use every day. Makeup can be expensive! That’s why we love getting (and giving) the inside scoop. 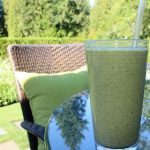 It really helps to know what works and what is worth your investment. While we certainly aren’t professional makeup artists these products make us look like we know what we’re doing. Stick around to find out our 17 top makeup choices and why we swear by them. For your shopping convenience we have included affiliate links with these exact products. (The shopping links are attached to the smaller photos after each section.) 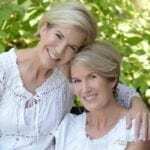 Purchasing from this post helps support our blog. It doesn’t cost any more for you, and as always, we are truly grateful for your support. Enjoy! First and foremost, there is one crucial step before foundation that a lot of people skip: primer. Primer is the layer that sets a clean, smooth foundation for the rest of your makeup. A good primer creates a smoother surface, filling in tiny lines and irregularities. It also helps your makeup last all day. You just need a pea sized amount to cover your entire face and you are good to go! 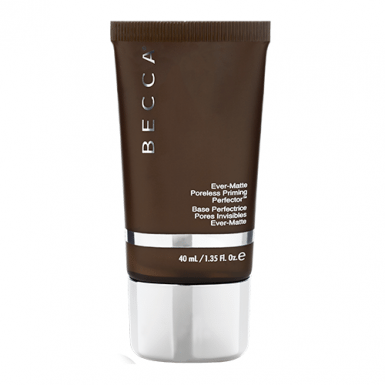 Our favorite primer is the Becca Ever-Matte Poreless Priming Perfector. It keeps your skin oil free and matte all day long! It’s a game changer for sure. Becca also has a variety of formulas if you want a dewy, illuminated look. When Rihanna released her new Fenty Beauty makeup collection, we were eager to try it out. We are in love with everything we’ve tried and in particular her Pro Filt’r Soft Matte Longwear Foundation. We love this product because it creates airbrushed perfection without looking cakey. It’s full coverage and lightweight all at once, with tons of color options to get your exact match. 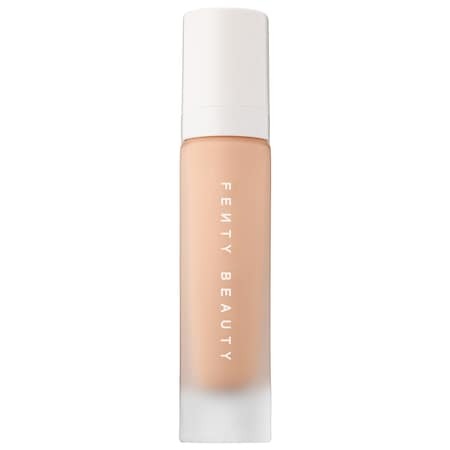 Not everyone needs concealer, but if you have acne, sunspots or under eye discoloration, this concealer is great. 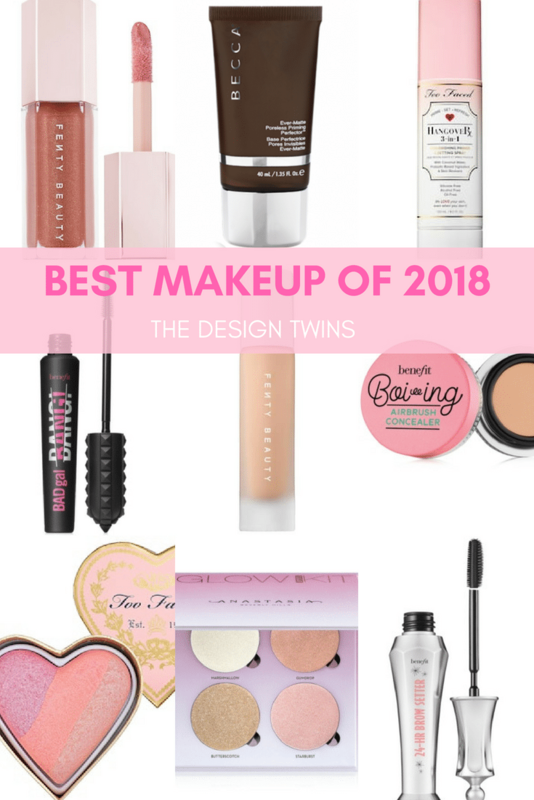 Benefit Cosmetics is one of our favorite makeup brands and they never disappoint! 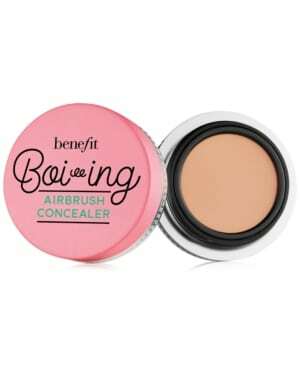 The Boing Airbrush Concealer is the finishing touch to creating a flawless complexion. 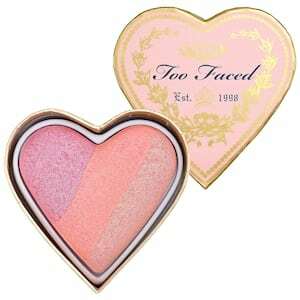 Our two favorite blushes are both from Too Faced Cosmetics. Blush is essential for getting that fresh, youthful glow. We love these blushes in particular because they look natural on and really make your cheek bones pop. These shades of pink are so pretty and feminine. Sweethearts Perfect Flush Blush is great when you want that natural flushed look with a little sparkle (I like Peach Beach). The Love Flush Long Lasting 16-Hour Blush is more of a statement. (My shade is Love Hangover.) It’s longer lasting which is great because who has time for touch-ups? 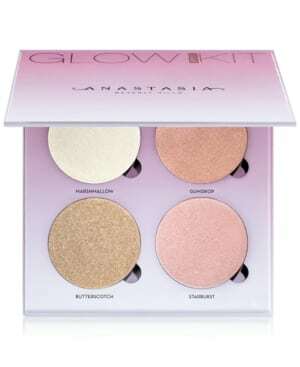 Highlight and glow is our newest favorite step to our daily makeup routines! It’s that extra sparkle and shine that really makes you look like a movie star. I often get compliments on my IG stories when I use highlighter. 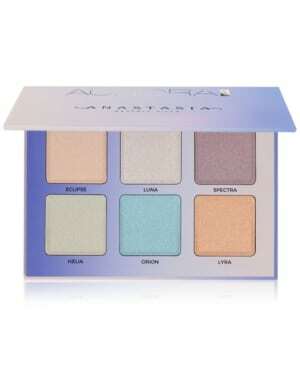 These are our current favorite highlight palettes from Anastasia Beverly Hills: Aurora and Sugar. Pop any of these shades along your upper cheekbone and temple for an all over glow. You can also highlight your nose and jaw line if you are feeling extra fancy! If you’re unsure of how to use highlighter check out videos on YouTube or Instagram. Contour may seem daunting and out of your league, but honestly it’s easier than it looks. We promise! The Anastasia Beverly Hills Contour Kit is our favorite with a collection of all the perfect shades you’ll need in one compact. Whether you want a contoured nose, jaw-line or cheek bone, this palette is made to do it all. Everyone wants lashes that impress with length and volume, and this mascara accomplishes both! It separates your lashes and doesn’t clump, adds length and dimension to ordinary lashes, and lasts really well, (even through our workouts). 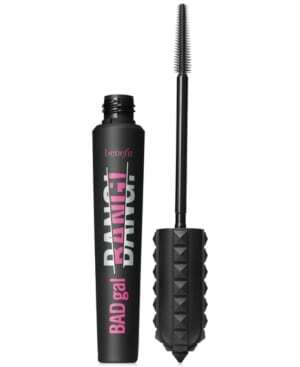 Your lashes will love BADGal Bang! 36 Hour Full Blast Volumizing Mascara from Benefit. If you really want your eyes to pop and stand out, eye liner is a must. These are our two favorites: Urban Decay’s 24/7 Waterline eye pencil is perfect for under-eye definition that will make your eyes look big and bold. It glides on seamlessly in the waterline for easy application and long lasting wear. 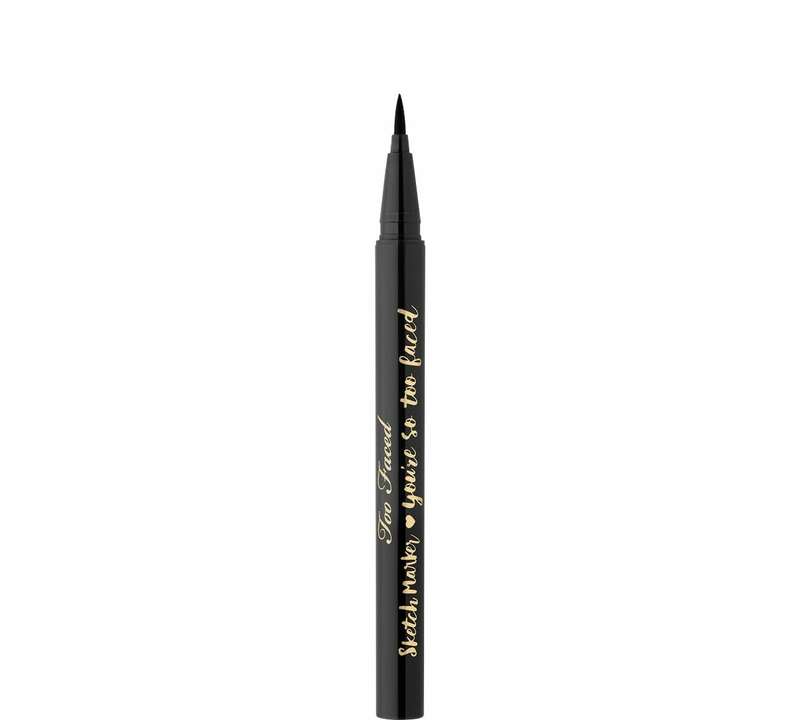 For the top lid, try Too Faced Sketch Marker liquid eyeliner that draws on like a paint brush. It dries quickly and resists smudging. This eye-shadow palette is nothing shy of peach perfection! 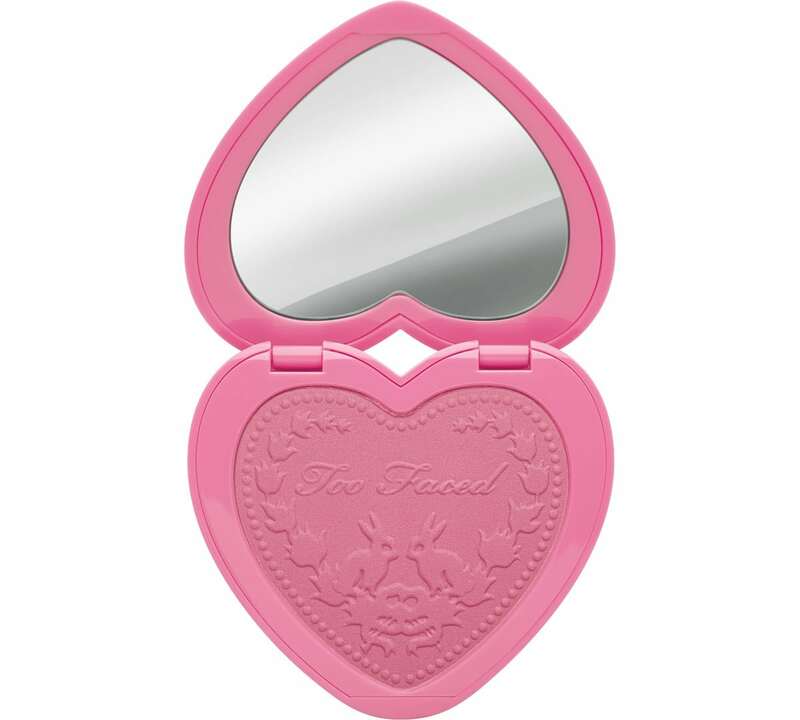 The Peach Palette from Too Faced comes with all the best shades to create a variety of looks. From midnight blues and purples, warm browns, and peachy pinks you can create so many different looks! Every shadow is very pigmented and can be used either day or night. The colors are feminine and flattering. The Naked Basics Eye shadow Palette from Urban Decay is perfect for when you want a natural, neutral eye. These 6 shades are our go-to for casual day-time looks. If you want brows straight out of Cosmopolitan, then look no further! These two essentials will get your brows in tip top shape. 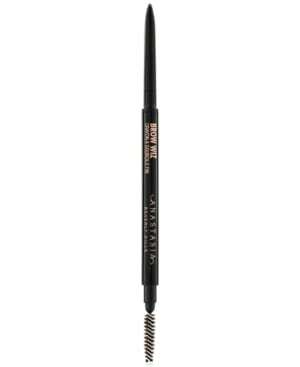 The Anastasia Beverly Hills Brow Wiz is perfect for filling and shaping brows. The thin pencil gives a lot of control. 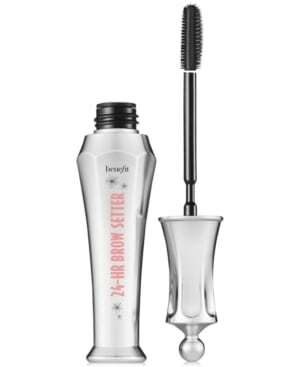 Benefit’s 24-hour Brow Setter Gel allows your brows to stay in place all day (and night!) You might think you don’t need brow setting gel, but once you try it you’ll be sold. Bianca, Jodie and I are all in love with this must-have lip gloss from Fenty Beauty. 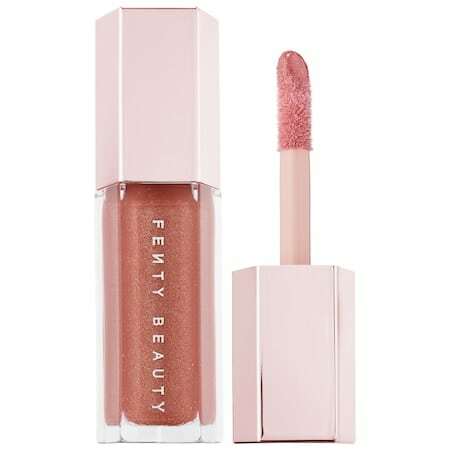 Fenty Glow gives your lips that perfect sparkly pink hue. And, best of all, it tastes like strawberries! This gloss leaves your lips feeling soft and luscious, unlike a lot of glosses that leave a sticky residue. It is the absolute perfect color. We get compliments all the time. 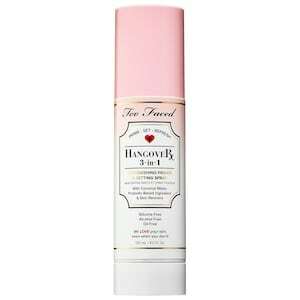 The final touch on your perfect makeup look is the Too Faced Hangover 3-in-1 Setting Spray, which actually triples as a primer and refreshing spray. What more could you ask for? This spray sets your makeup in place so it’s ready to last all day long. It’s also very refreshing and smells like coconut which is a bonus! We like spraying this several times throughout the day just to refresh our faces. Jodie and I are always being asked what we are wearing, so we hope this has been helpful. When you have the right tools you can achieve amazing results. With products that really deliver you will be more confident about creating a great make up look. Remember, you don’t have to be a professional makeup artist to have amazing makeup! YouTube is a great resource for makeup tutorials and the latest tips and tricks. 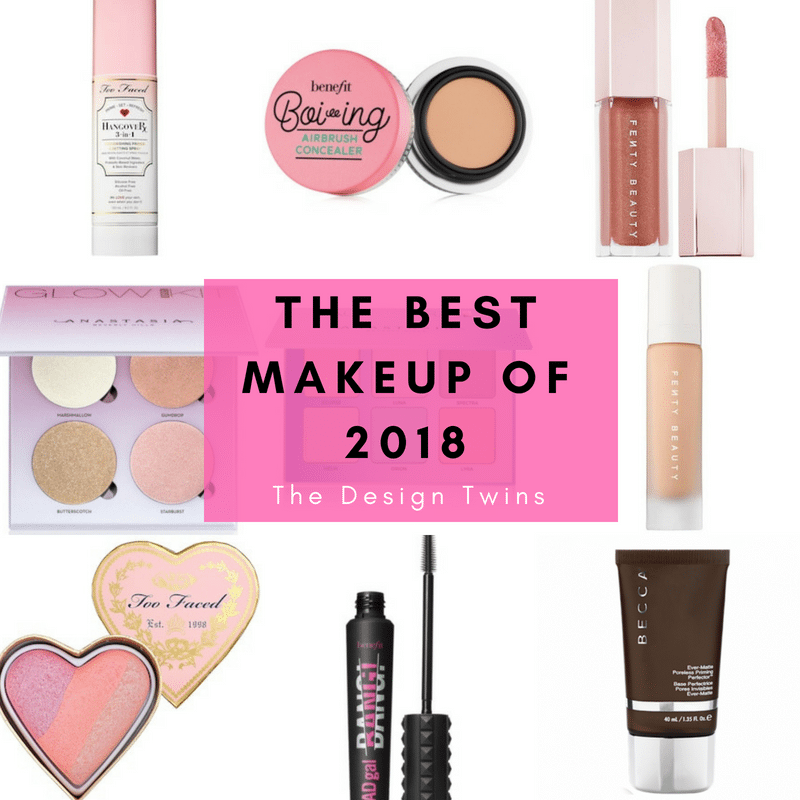 Here are some of our favorite must-have makeup products to use all year long! We swear by these products and hope you will too! Keep reading to find out why we love these products and why they are worth the investment. 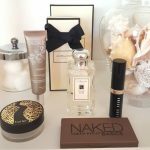 Don't forget to shop our blog shop to get all these products so you can have flawless, movie-star makeup! Thank you! I will slowly start adding these to my makeup routine. We are so glad you enjoyed some of these makeup products! 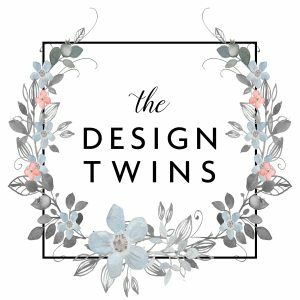 Thanks for checking out our blog! Ok, ladies I’m ready for a makeover! I have been searching for new products. 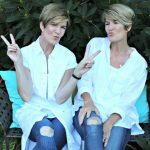 First stop tomorrow is a new hairstyle.☺️ I am going to be daring with a new short cut and no color!😯 Thank you both for your inspiration. 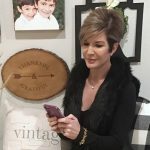 We are so glad you liked this post! I’m sure the haircut will look great on you! And it is always our pleasure sweet friend!